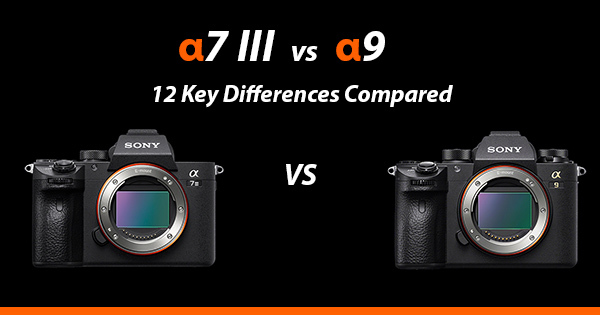 The Sony a7 III (ILCE-7M3) and the Sony a9 (ILCE-9) share many features in common, in fact the a7 III was even called a “baby a9” by early reviewers. But is it really a threat to Sony’s flagship a9 camera that costs around $2500 more than the a7 III? In this comparison article I’m going to be taking a much closer look at 12 key differences between the Sony a7III and the a9, both of which I’m fortunate to own myself. 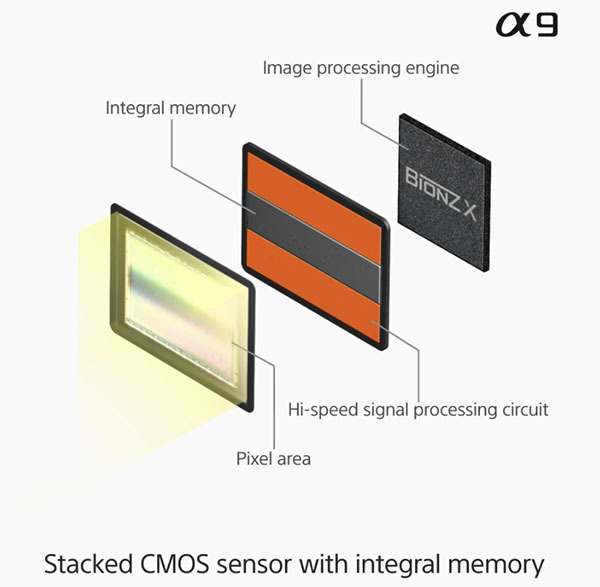 Although both the a7 III and a9 share a similar 24.2 megapixel back-illuminated Exmor R CMOS sensor, the design of the a9 sensor is in a different league to the a7 III. The flagship Sony a9 uses a game-changing stacked back-illuminated Exmor RS sensor with integral memory, this allows the a9 to analyze a subject for correct focus and exposure at 60X a second, whereas the a7 III only analyzes the subject at 20X a second. 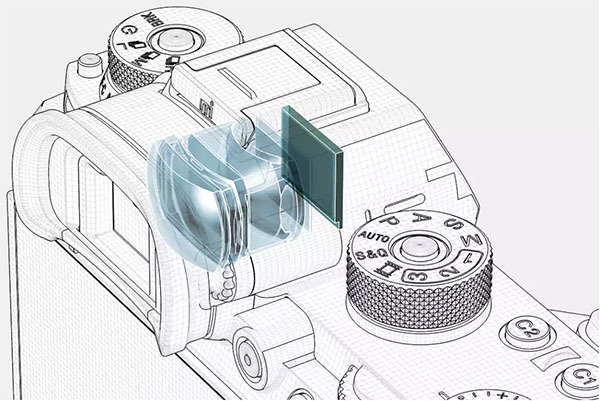 This stacked sensor design helps the a9 to achieve faster continuous shooting speeds of 20fps vs 10fps, a faster shutter speed of 1/32000 vs 1/800, as well as minimizing the rolling shutter effect and banding from artificial lighting. Both cameras include in body image stabilization that works across 5-axis and is rated at 5-stops. Both the a9 and the a7 III feature a silent electronic shutter, however the electronic shutter in the a9 can shoot up to 1/32000 second, this compares with only 1/8000 second with the a7 Mark III. You might think you will never need such a high shutter speed, but if you are shooting in very bright conditions and still want to maintain a shallow depth of field by using a low aperture such as f/2.8, then this incredibly fast shutter speed allows you to achieve this without using an ND filter. The a9 also has one more nice little feature when shooting with the electronic shutter, and that is the option to enable an audio signal, this is strangely absent from the a7 III. I find this audio signal extremely helpful as it’s nice to have some form of feedback to tell me that images are actually being captured, whereas with the a7 III it’s completely silent, so unless I keep an eye on my shots remaining I have no idea that I’m actually taking any photos. I usually have this turned on all of the time on my a9, unless I’m shooting wildlife and don’t want to scare my subject. The phenomenal speed of sensor and processor on the a9, combined with the electronic shutter helps to eliminate blackouts that typical occur with mechanical shutters due to up-and-down mirror motion. This provides an uninterrupted live-view of your subject (A) through the EVF and rear LCD screen, even during continuous shooting at 20fps. You will really notice the benefits of no blackouts when shooting fast action, helping to make framing and tracking your subject so much easier. The a7 III does provide a live-view display when shooting continuous up to 8fps, but you will get very brief blackouts. 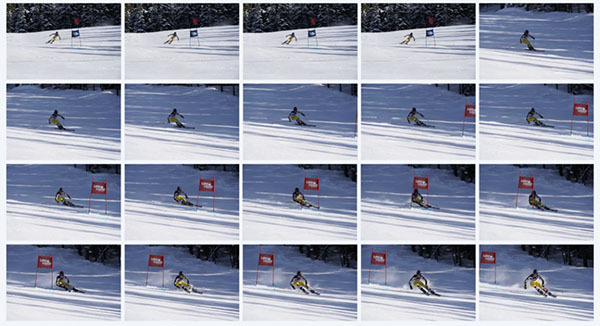 When shooting at 10fps which is the maximum frames per second of the a7 III, there is no live-view in continuous shooting, instead the last image taken will be displayed (B). The stacked sensor in the a9 is able to calculate the correct focus and exposure settings up to 60 times per second, and not only while composing your shot but even when releasing the shutter. This is a huge advantage when it comes to locking onto and tracking erratically moving subjects such as birds in flight, it also improves the accuracy of Eye Autofocus. The a7 III calculates AF/AE settings at 20 times per second. The autofocus system in the a7 III is derived from the one in the Sony a9, and both cameras feature 693 phase-detection AF points that cover approximately 93% of image area. Oddly however the a7 III has 425 contrast detection points whereas the a9 only has 25. The difference in contrast points is only likely to make a difference when phase detection can’t be used which is above f/11. Thanks to its stacked sensor design, the Sony a9 is able to shoot continuously for up to 20fps when using the electronic shutter, however switch to the mechanical shutter and you are limited to 5fps. The a7 III can shoot up to 10fps with both electronic and the mechanical shutter. When you are shooting at 20 frames per second it wouldn’t usually take very long to fill the buffer of any other digital camera, however the a9 can record up to a massive 368 JPEG and 245 compressed RAW files in a continuous burst. The buffer on the a7 Mark III supports up to approximately 177 JPEG images or 89 compressed RAW images in one continuous burst. Occasionally I find the 20fps on the a9 to be overkill, and it can be a nightmare sorting through all of the images at the end of the day. Thankfully there is an option to reduce the speed to either 10fps or 5fps if you do want to slow things down a little. 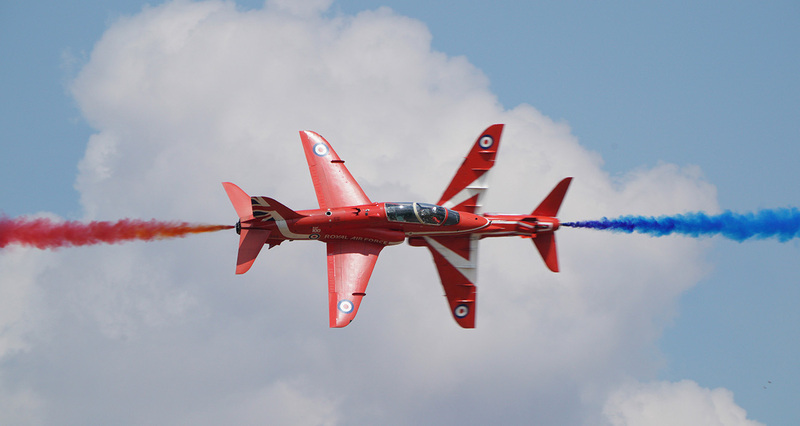 But there are times when I’ve taken full advantage of the 20fps, like capturing this moment just before two Red Arrows crossed paths. Even with 20fps, with a closing speed of around 760mph I was only able to capture two shots where both planes were visible in the frame, and only one made the cut. At 10fps I would require a little bit of good luck to nail this exact moment. I was tracking the plane on the left thus panning to the right for this shot, hence the reason why the second plane has some motion blur. This was shot with the Sony FE 100-400mm GM lens plus 2x teleconverter, you can read my review of this lens here. The ISO sensitivity range is the same between the two cameras, with both having a 100-51200 native ISO range and an expanded range of 50-204800. There is a slight variation in the maximum dynamic range, with the a7 III scoring 14.7 and the a9 scoring 13.3 Evs by DXOMark. This difference is fairly small, and both cameras are still brilliant at recovering details from shadows / highlights when working with Raw files. The Sony a7 III has a 2.36 million dot (1024 x 768) OLED electronic viewfinder with a refresh rate of 60fps. The a9 trumps this by having a 3.69 million dot OLED viewfinder which also has a faster refresh rate of 100/120fps. The rear LCD screens of both cameras feature touch controls for selecting and moving your focus point and zooming in. 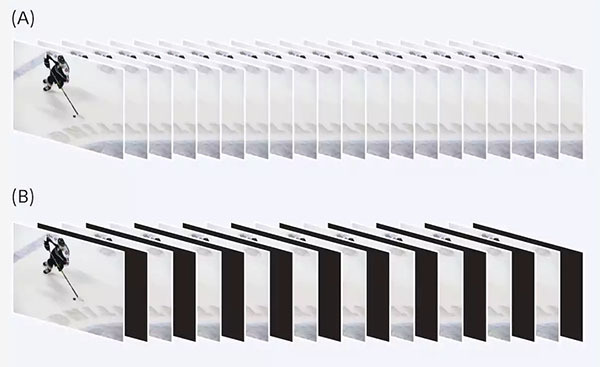 You can also tilt the screen upwards and downwards. However the a9 has a higher resolution LCD screen with 1,440k dots vs 921k dots found on the a7 Mark III. The higher resolution of both the viewfinder and LCD screen of the a9 is quite helpful when using focus magnification, or the clear image zoom (digital zoom) function. Both the a7 III and the a9 can record 4K video at up to 30fps and 100Mbps using XAVC S compression. At 24p/25p there is zero sensor crop, which is achieved by capturing 6K then downsampling to 4k. At 30p recording is captured at roughly 5k, so there is a slight crop of 1.2x crop but this helps to reduce rolling shutter. Strangely however, Sony decided to omit picture profiles from the a9, including S-Log2 and 3, and ITU 709, all of which serve to maximize the dynamic range available for video recording. 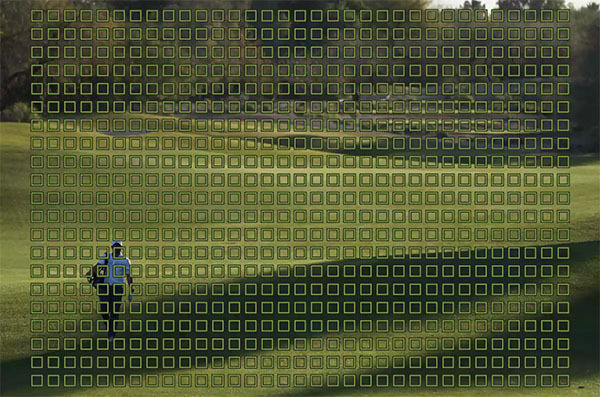 This feature is found in other models such as the a7R III, a7 II, a7S II etc. so it’s odd to see that it has not been included in their flagship a9. The a7 III does support picture profiles including S-Log2, S-Log3, and HLG (Hybrid Log Gamma), allowing you to adjust colors and the vividness of the image during recording. 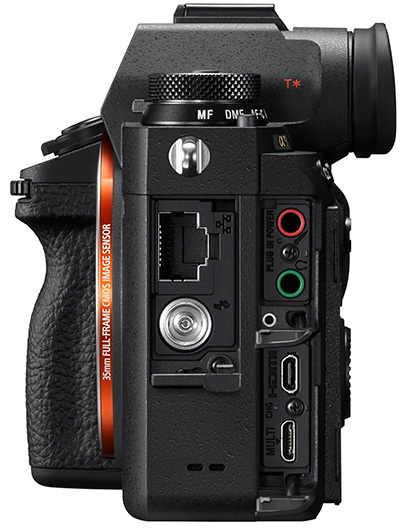 The a7 III has a very similar body to the a9, this includes the same touch screen, AF joystick, the dedicated AF-On button, dual SD Card slots (one of which is UHS-II), a Protect/Rate button, relocation of the movie record button to near the viewfinder, and the new and much larger NP-FZ100 battery. However, they are not identical. The a9 features magnesium alloy for the front, side, and rear covers, whereas the a7 III is missing the magnesium alloy on the rear. 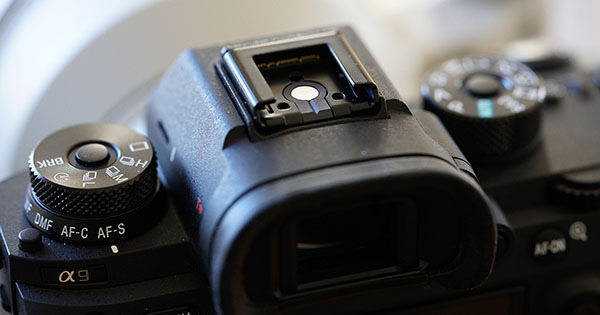 The a7 III is also missing the lock button on the mode dial which the a9 does include. The a9 also gets an extra dial on the top left of the camera body. This mode dial allows you to quickly select both your desired drive mode (single shot, continuous, timer, brk), and also the focus mode (AF-S, AF-C, DMF, MF). It’s really a very useful addition that should be present on all of Sony’s a7 series cameras. The tactile feedback from the buttons on the a9 is better in my opinion than the a7 III. When you press buttons on the a9 you can feel and hear a nice click to confirm your actions, however on the a7 III this tactile feedback is a lot softer and you don’t hear a click. Of course, this could actually be beneficial when shooting video and recording audio. The a7 III weighs in at around 650g or 1 lb 7.0 oz (with battery and SD Card), making it 23 grams lighter then the a9. Both cameras are dust and moisture resistant, so they should both withstand a short rain shower, but they are not waterproof. The weak point seems to be the base of the camera, so you’ll want to avoid setting your camera down in any puddles. The a7 III includes and option to rate images from one to five stars, unfortunately this feature is not present on the a9..
You’ll also find that the Sony a9 has two extra connectors that are not present on the a7 III. There’s an extra flash sync port for studio flash units and other external lighting equipment, and also an ethernet port that allows you to transfer images to an FTP server. Sony has an FPT Setup Guide for if you wish to do this, as it’s not the easiest of options to configure. Both the a7 III and the a9 use the new NP-FZ100 battery which replaces the NP-FW50. The NP-FW50 was rated at a capacity of 1020mAh, whilst the new NP-FZ100 battery is rated at 2280mAh. This provides over double the capacity of the older battery. Sony figures state that the a7 III will allow you to take 710 shots (using LCD screen), and 650 shots with the a9. It’s possible that the higher resolution EVF and viewfinder in the a9 requires just a little more juice. However it’s important to realize that in real life conditions you may actually shoot many more shots on a single charge. I’ve shot well over 1000 images with my a9 before I’ve needed to change the battery, although cold weather can also reduce battery life a lot faster. Both cameras can be charged via USB, and the a9 also includes the Sony BC-QZ1 Battery Charger. Unfortunately the Sony a7 III does not include the charger, leaving you with the only option of charging via USB. To charge the NP-FZ100 battery via USB takes approximately 5 hours, compared with 2.5 hours when using the BC-QZ1 Charger (Check Prices On: Amazon.com | Amazon.co.uk). Besides the blistering sensor and shutter speed of the a9, there is also a blistering price difference between the two cameras. Currently the a7 III costs $1,998.00 (US Dollars) or £1999.99 for the body only, and the a9 costs $4,498.00 (US Dollars) or £4299.00. With the a9 costing more than double the price of the a7 III, the a7 III is most likely going to be the first choice for many photographers, and what a choice it will be. As for just under $2000 you are getting a full-frame camera with great ISO performance and dynamic range, 4k video recording with picture profiles, fast autofocus, dual SD Card slots, and a larger battery. If you shoot a lot of video then the picture profiles alone may be enough to swing the a7 III in your favor. However, the a9 is an incredible piece of technology. No other full-frame camera on the market today can offer 20 frames per second with no blackouts. With AF/AE settings calculated at 60x a second (3x faster than the a7III), if your job depends on you nailing incredibly fast action shots, and your budget can stretch to it, the a9 is the camera that you will want in your gear bag. As I mentioned earlier, I’m fortunate to own both cameras and can attest to the phenomenal speed of the a9. It rarely misses focus, and when it does it’s more than likely my own fault. The a7 III on the other hand still nails most shots, but every now and again you’ll find that a few are a little soft, which can be infuriating if it’s a potential money shot. So have you already made your decision? If you have, it would be great to hear which camera you decided to go for and why in the comments below. And if you have decided on the a7 III, then you might find my Sony a7 III Accessories Guide useful, all of which can also be used with the a9 due to them sharing a similar body design.